We’ve all done it, went on an amazing summer vacation, took tons of great photos, returned home to never look at them again. Don’t let your summer travels sit in your camera roll. 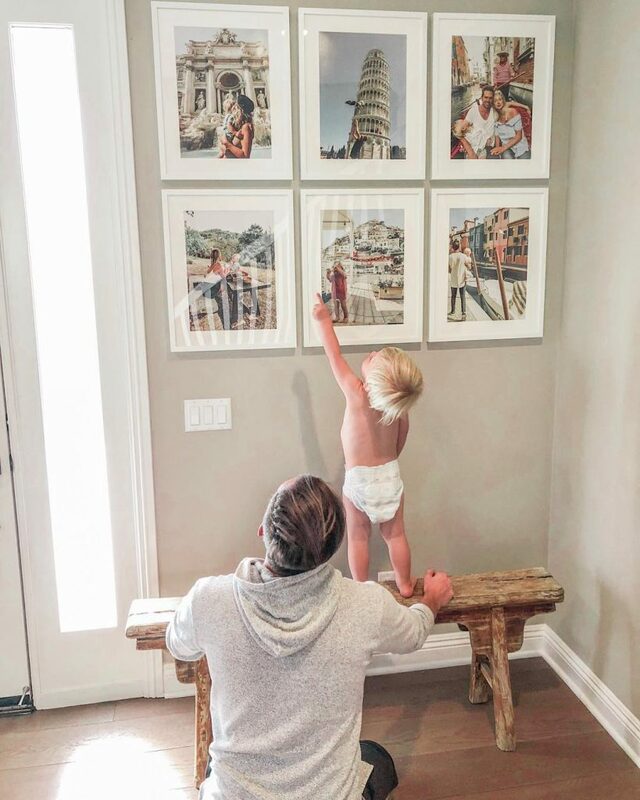 We rounded up 5 ways you can incorporate your photos into your home decor so your favorite memories live right where you can see them! Our friend Jessica of @itsjessicamiller printed her amazing summer travels to Italy and hung a gorgeous framed prints wall of her trip. 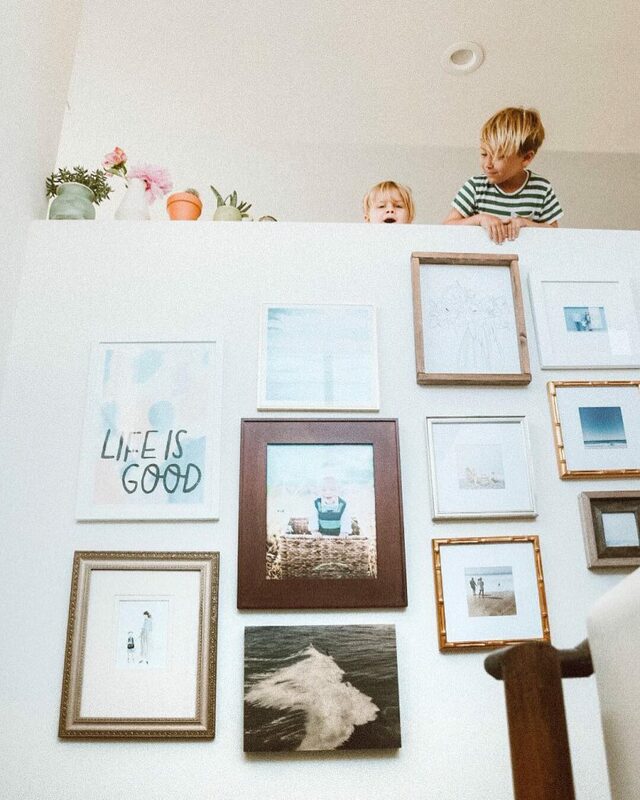 We absolutely love how the colors of her shots coordinate in her home and think the white frame really makes the shots pop! You can easily recreate this on that blank wall you still haven’t filled in your home! A clean and inspiring workspace is a major key to productivity! Give your workspace a refresh by printing large-scale prints to frame your computer monitor. 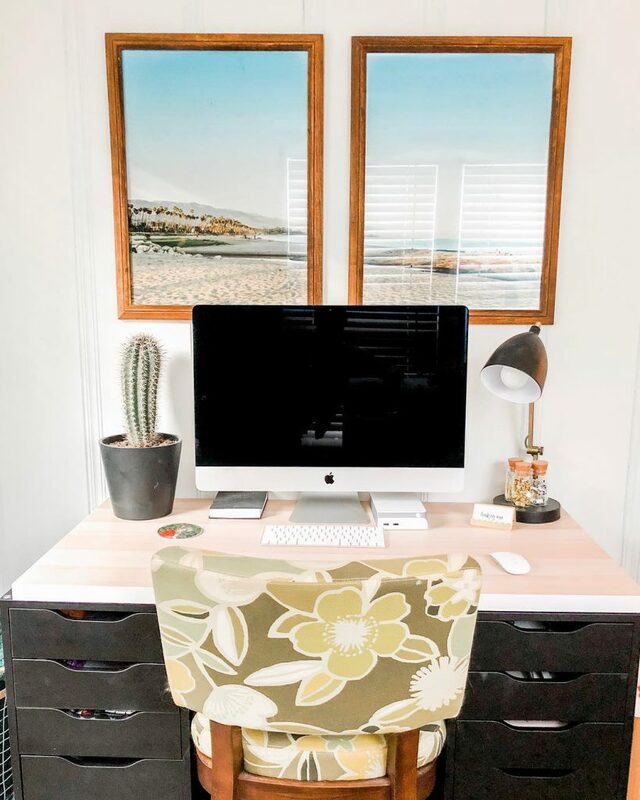 We love how gorgeous this shot is of @themodernrenovator’s desk space and that when she is having a tough day of work, she can look up and relive some of her best moments of the summer! If you don’t want to dedicate an entire gallery to your vacation, mix in your favorite shot with some other media and create a gallery wall. @chrissyjpowers incorporated Wood Print Wraps, framed prints, and lined her staircase with an amazing design that truly brings so much depth to her space. 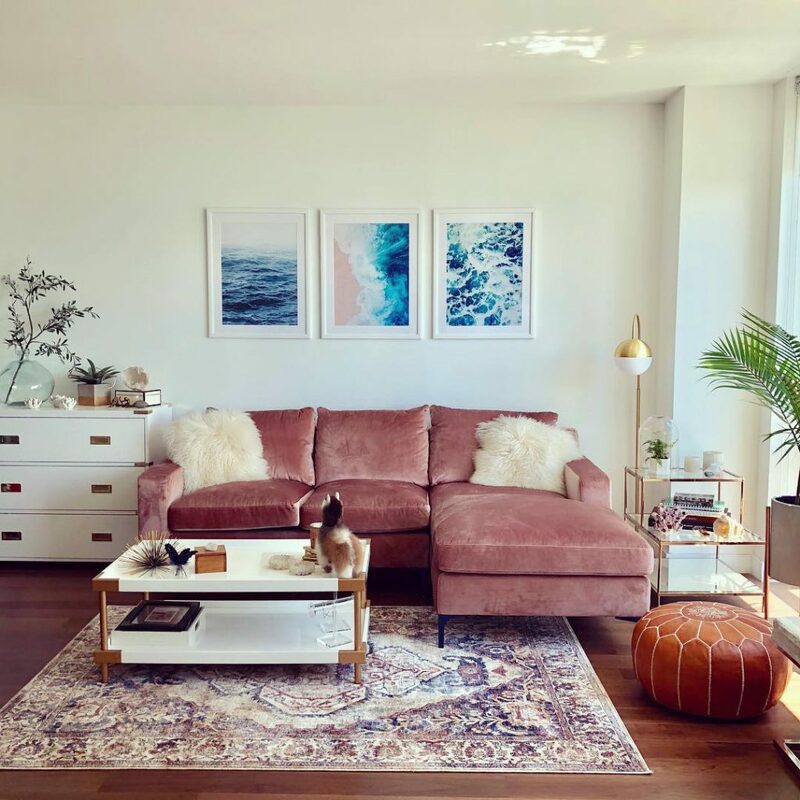 Keeping a color theme helps ensure that each piece compliments each other and she can always add to this amazing gallery as her family continues to travel! For those of you who aren’t going to hang a picture of smiling faces on your wall, think outside the box! Frame environmental shots from your trip like @alid0223 did in her living space. We think the blue hues of her ocean prints look stunning against her white wall and add the perfect pop of color to her couch and space. We love the texture these prints add and how functional and cozy this room is. 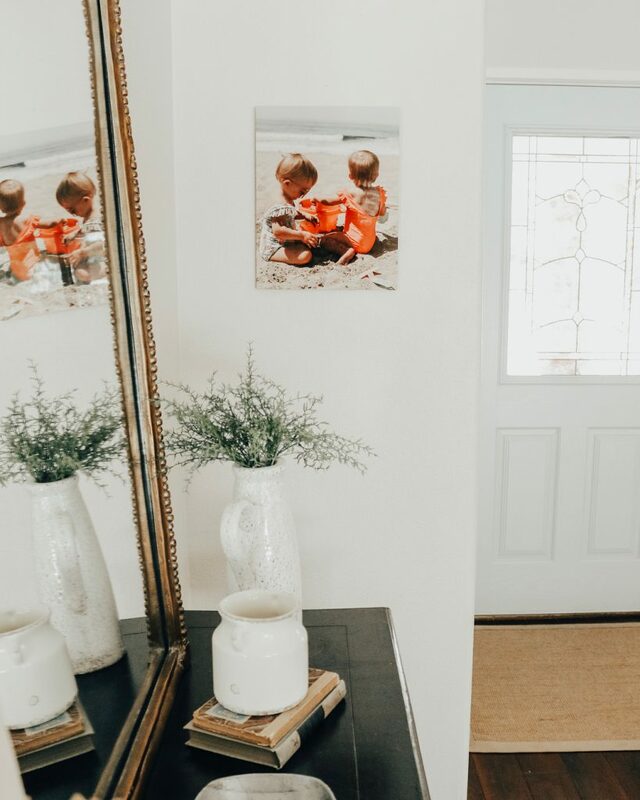 We love how @withkendra incorporated her beach trip with her girls on a Metal Print in her entryway. Metal is such a unique, sleek, and different product to incorporate into your home and we think its the perfect touch for this wall that needed a little love. The image blends perfectly with her paint color, and the girl’s swimsuits and bucket pop for a fun touch of color! Where did you travel to this summer and what are your plans for all the amazing pictures you took?